Omiga Security Systems are able to supply and install a vast and varied range of Closed Circuit TV systems (CCTV). We have installed a variety of systems into residential homes, shops, restaurants, bars, function rooms commercial units, construction sites and small industrial estates. The advances of CCTV technology in recent years has meant that it has become more and more affordable for the residential and small business markets providing an effective resource of crime prevention. Due to these advances, there is now a much wider range of cameras available from ones with fixed and vari focal lenses, day / night and infrared illuminated, through to remote controlled pan / tilt and zoom systems. If cabling to cameras is restricted, providing power is available at the camera location, images can be sent via secure radio transmitters and receivers. 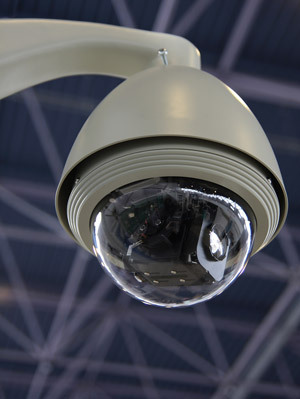 Data from the cameras are now stored on Digital video recorders (DVR’s) which has enabled the end user to record images onto a Hard Drive and stored for up to 30 days. The images are then easily transferable to USB disk or DVD. DVRs can also allow the remote viewing of a system via the internet so that your property can be viewed at any time.